Tillamook Head to Indian Beach - 2018/07/29 - Chiyoko & Guy's Photo Site. Looking to escape the 8th straight day of temps above 90F we headed to the Oregon Coast for a hike. True to form half a mile before the sea we hit the cloud bank and a cool misty 59 degrees. It was a welcome break from the heat! 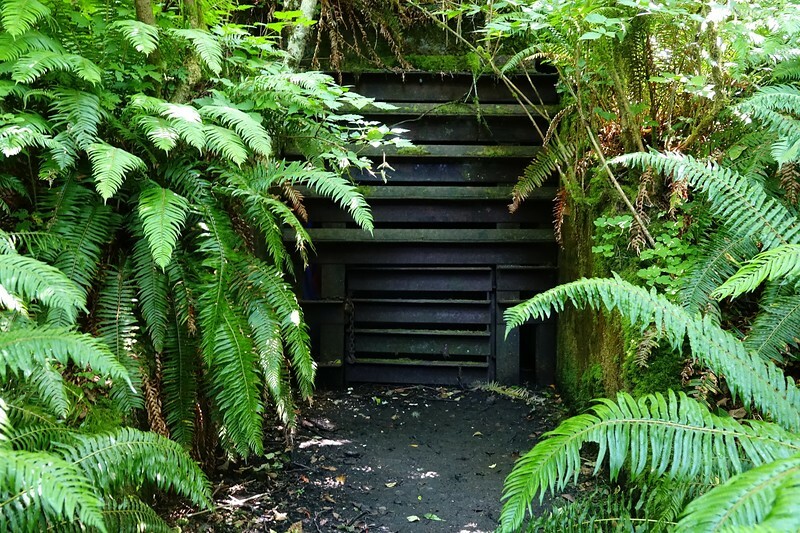 2018/07/29: Hidden near the hikers cabins on Tillamook Head is the old WWII Radar Station J-23. Part of the West Coast US defense against the threat of a Japanese attack. The more adventurous can venture inside where we found one large frog had taken up residence.